Custom Business Signs, 3-D Letters, Logos & Plaques Shipped Nationwide. America's most versatile, Online Sign Company stands ready to serve your needs. Anyone who knows me, knows I could talk for days about all the new and interesting things going on inside our business. And that's partially because I didn't anticipate that a downturn in the economy would spark such record growth in our sign company. What we're discovering is that with all the layoffs and unemployment, a shift is quietly taking place in our economy. Large numbers of unemployed people are starting new businesses, out of shear necessity. And since the internet is such a convenient way to shop, there is a steady rise of start-up businesses finding our sign company online. Startups are especially fun to work with! And new custom business signs ranging from banners to billboards! Unfortunately, back in 2003, the software we wanted wasn't invented yet. So we recruited a small, 3 man team of programmers to custom build our new, interactive website technology, from scratch. In February 2004, we launched the front-end software which includes our SignMagic Online Design Center. SignMagic works in combination with our other interactive web-based tools to help you find, price and buy the signage you need, anytime day or night. These are the parts you can see and directly interact with on our website. Our back-end software is an end-to-end order management system we named DataLoop, because it puts everyone in the Loop! Imagine a system that automatically tracks and records every tiny detail, of every single order, from the time the order is placed, until the package arrives at your doorstep - that's DataLoop! It may very well be the best Customer Service System in the sign industry. And with rock-solid shipping partners at our disposal like FedEx & UPS, our system now makes it just as easy to help business owners 2,000 miles away, as it does our neighbors. 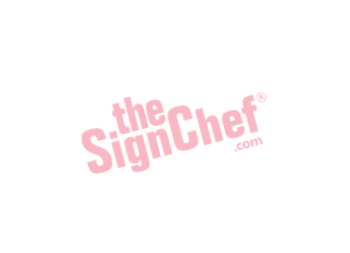 How did the head SignChef get started? Taking the time to develop these trade skills has given me invaluable, hands-on knowledge and real-world sign experience. As a company, we use and build upon this experience every day to meet the unique, individual needs of our clients. 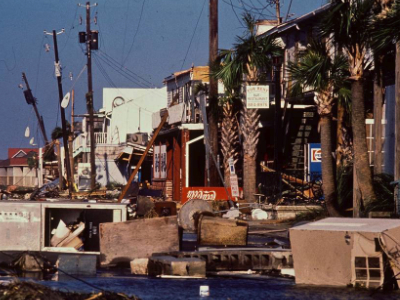 Shortly after starting the company in 1987, Hurricane Hugo hit Charleston hard in 1989. As Hurricane Hugo blew through Charleston, South Carolina on September 22nd, my wife and I weathered the storm together while celebrating on our 5th year wedding anniversary! When we woke up the next morning, Charleston's landscape had been dramatically altered. As we slowly weaved around the trees and debris in the streets, it was quite a shock looking at all the devastation we had just lived through. And it didn't take us long to notice, there was hardly a sign left standing. As you can imagine, the sudden rush of businesses needing new custom signage and restoration work had a profound impact on our company. We were able to acquire some much-needed sign making equipment. And for the next year, we didn't get much sleep! Our thriving local economy enabled the steady growth of our small sign business from 1989 to 2003. So as our family of clients grew, we experienced the normal (and sometimes severe) growing pains of finding the right employees, improving our sign manufacturing processes and expanding our facility. 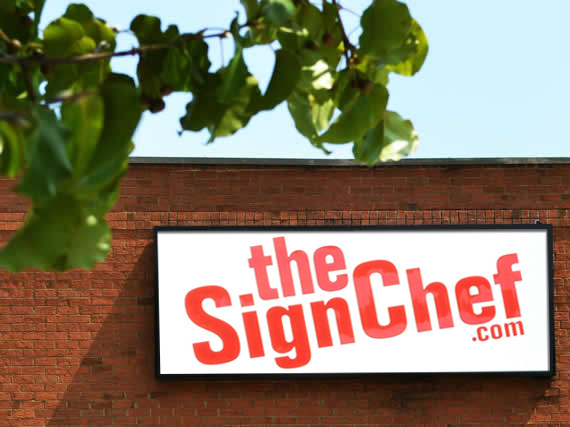 Halfway through 2003, we decided to expand our traditional local sign business, nationally. However, we decided to expand in a non-traditional way. Instead of expanding with more store locations or by franchising, we decided to expand the business via the internet. Thanks to the reach of the internet, we now serve organizations all across America & around the world. We are truly honored to have the opportunity to work with so many professionals. If you feel our services might be a good match for your business or organization, we would love to speak with you!